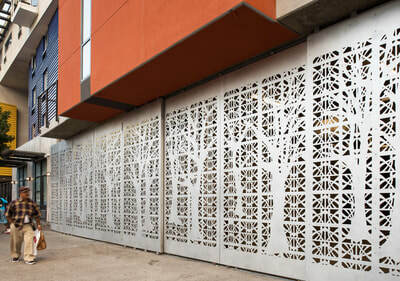 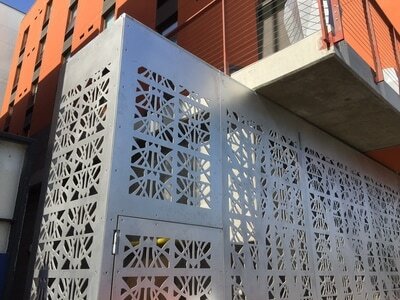 San Diego artist Lynn Susholtz was retained in 2017 by Affirmed Housing to work with Carrier Johnson + Culture to create a façade for a new transitional housing project in the East Village District of downtown San Diego. 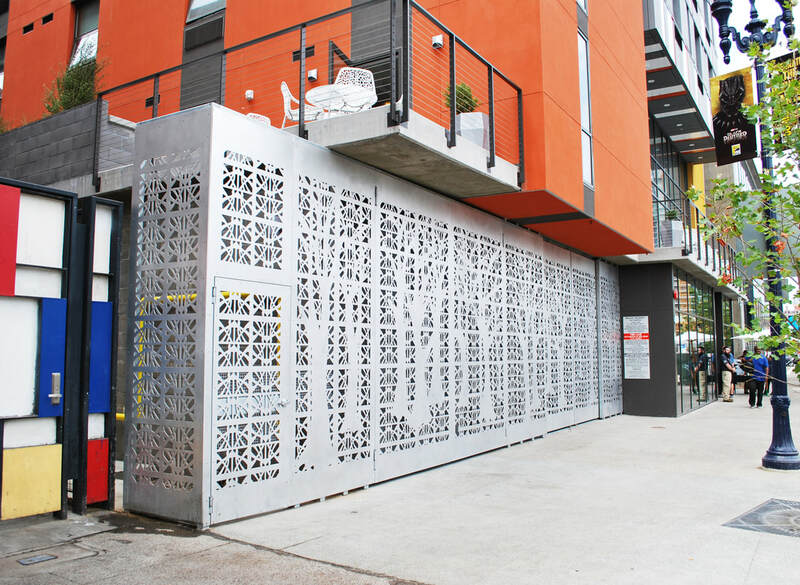 The 12’ x 60’ aluminum and steel screen wall incorporate two sliding garage doors, two swinging doors concealing gas and electric utility boxes, and a pedestrian entry gate. 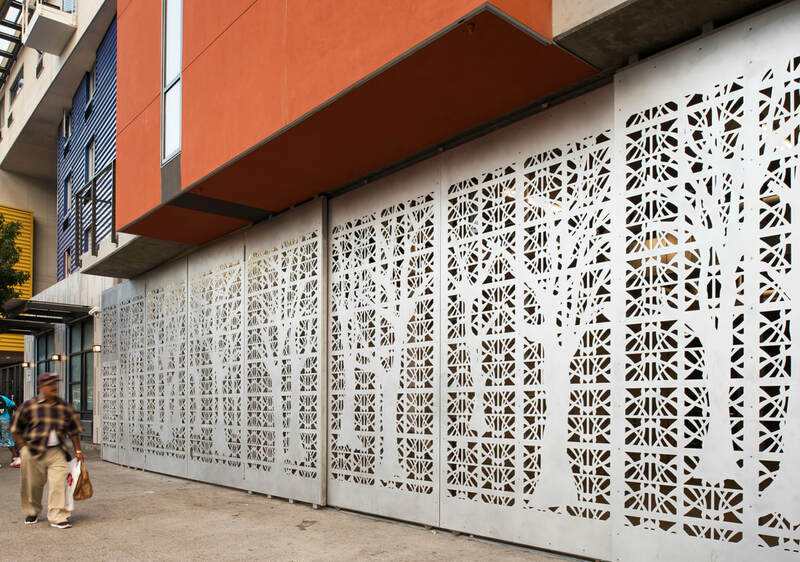 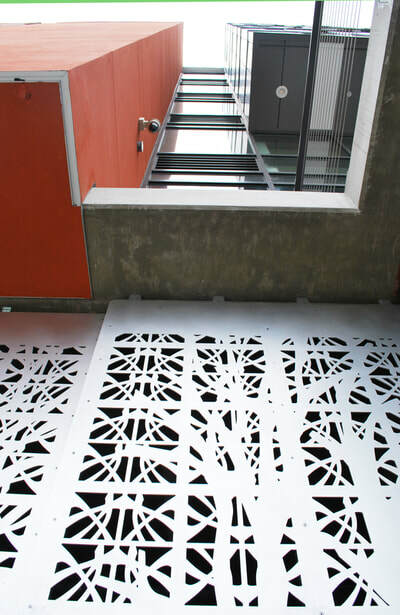 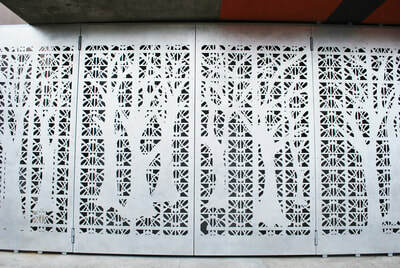 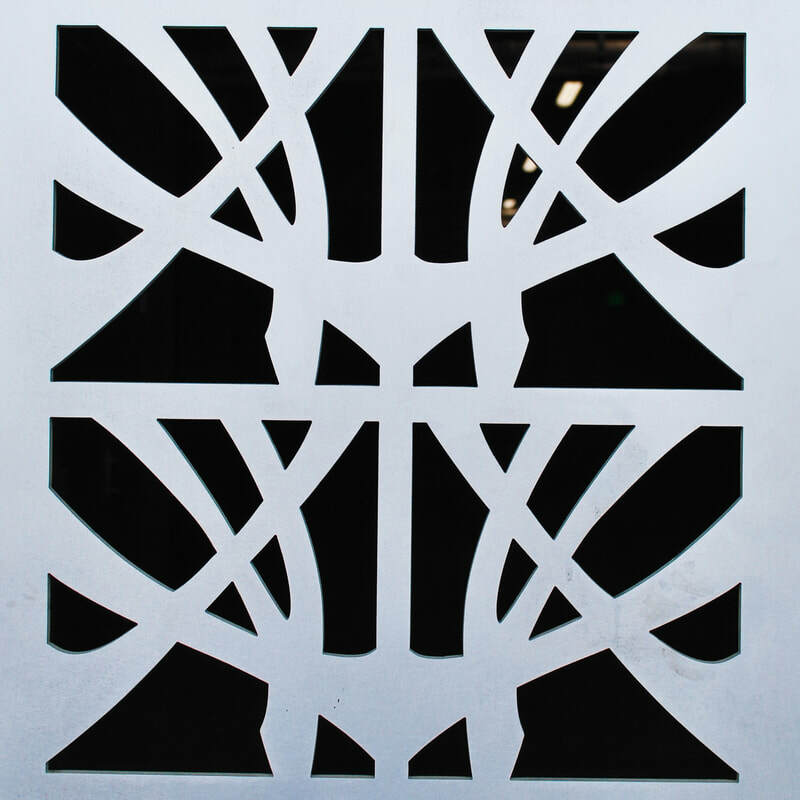 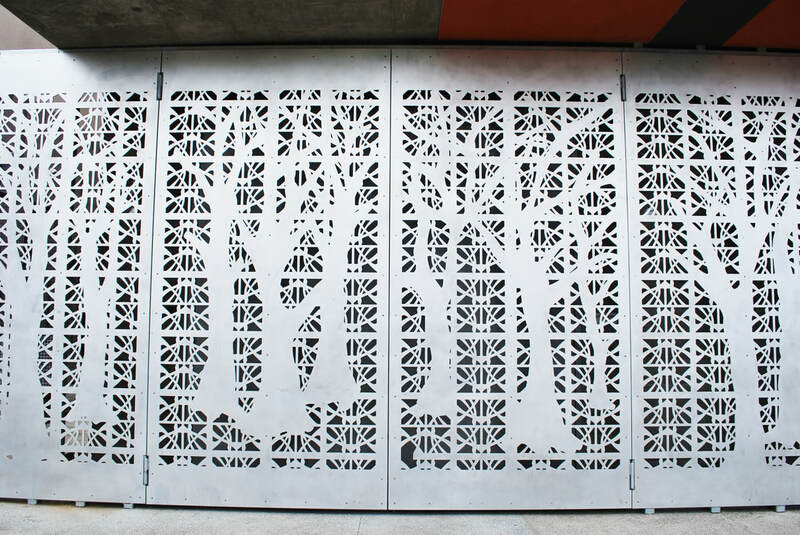 Serving to humanize the building, the artwork consists of nine 6’ x 12’ water-jet cut panels that are bolted to galvanized steel frames. 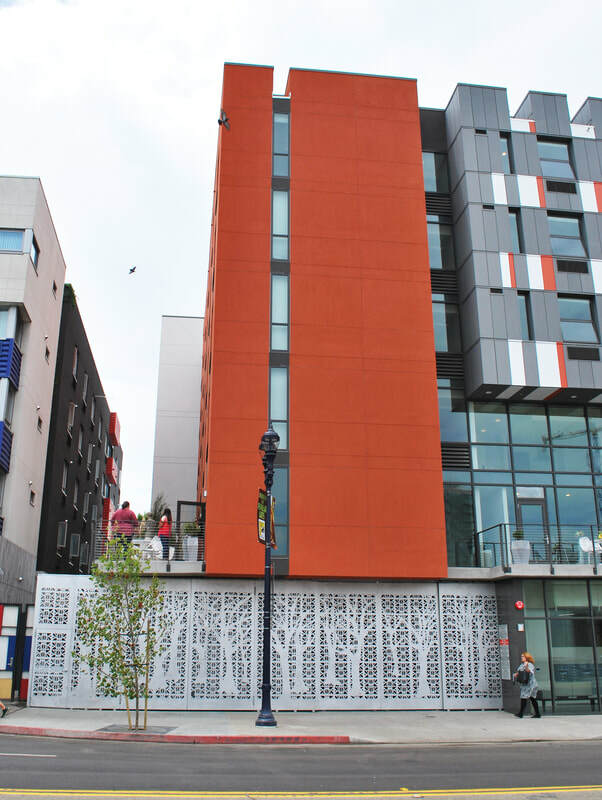 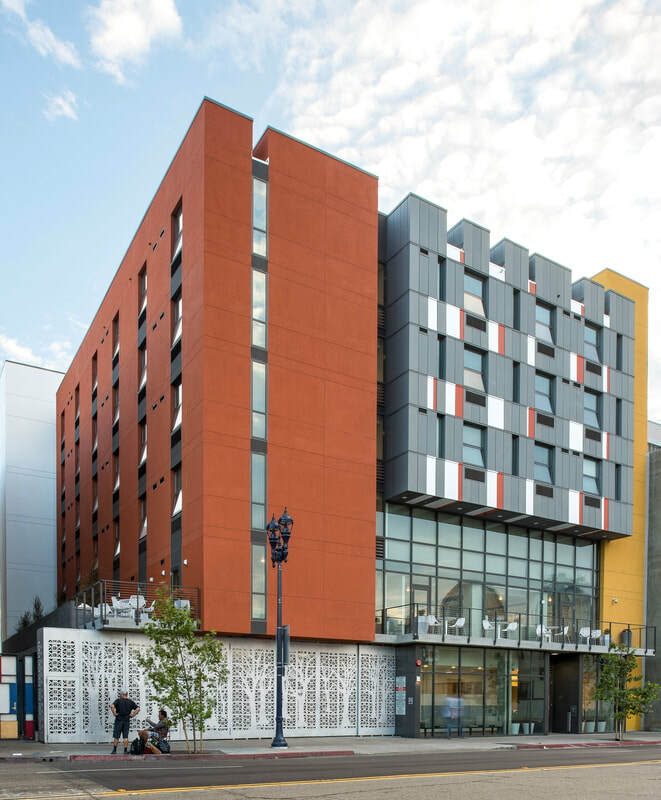 ​Located at 1435 Imperial Avenue, Cypress Apartments is a 62-unit affordable housing project providing SRO/efficiency units targeting special needs transitional homeless populations. 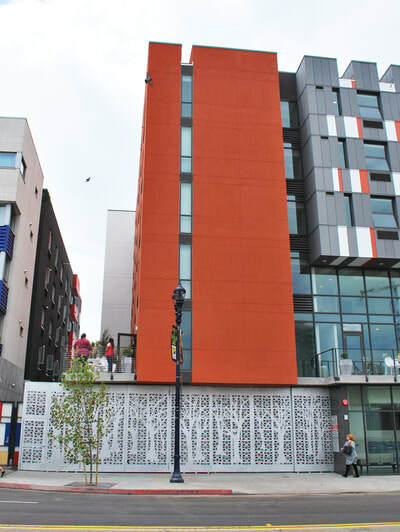 Onsite services are offered for residents by Father Joe's Village. 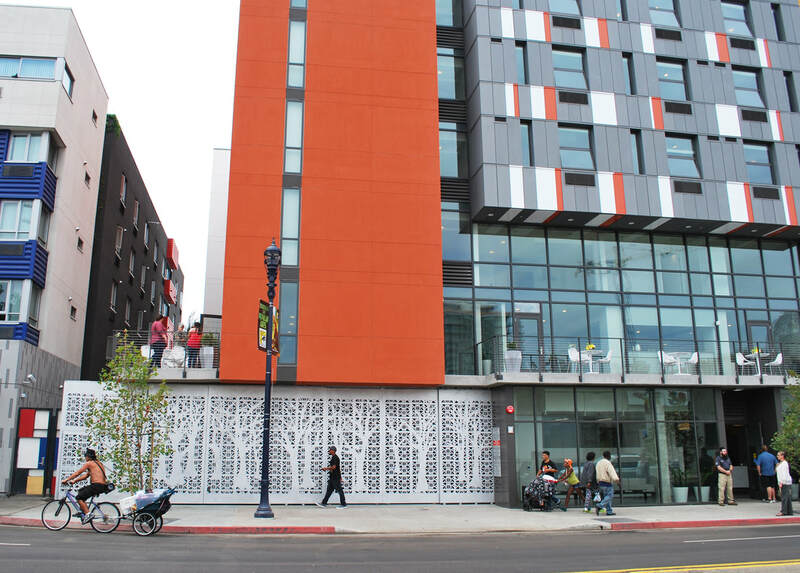 The artwork and building name were inspired by the iconic Lone Cypress Tree located in Pebble Beach, CA. 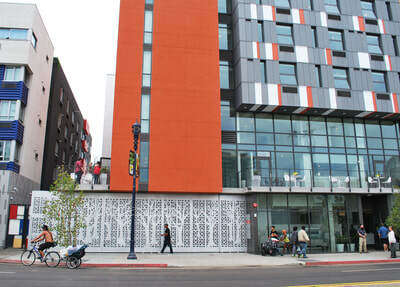 This project was awarded a 2017 Orchid from the San Diego Architectural Foundation.